Put a Stop to Rising Maintenance Fees Today! When you buy a timeshare you are agreeing to pay for a vacation every year whether you get to go or not. This comes in the form of maintenance fees, which probably started off low, making that annual vacation seem like a bargain. 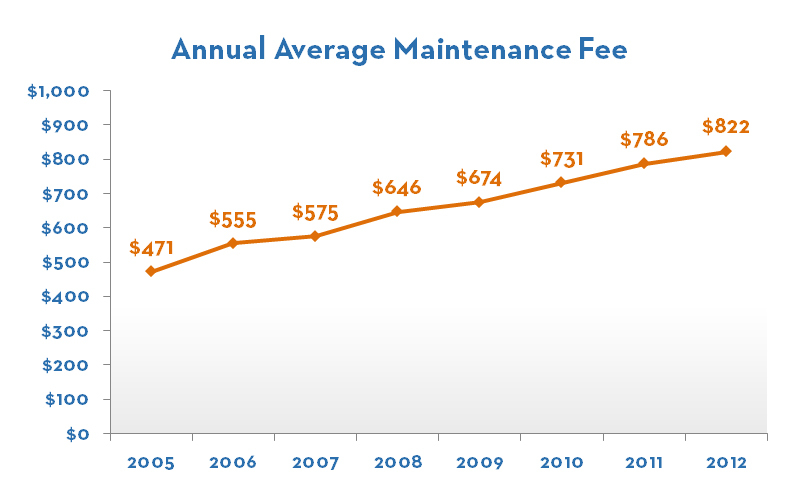 Unfortunately, many owners have seen their maintenance fees steadily rise year after year. In fact, data from the American Resort and Developers Association (ARDA) shows an annual increase of approximately 8%. A maintenance fee that was once $471 could be over $800 today. We developed the calculator below to help you plan for the future. Enter your current maintenance fee amount and click the Calculate my Costs button to see how much you must spend over the next five, ten, and twenty years if maintenance fees continue to increase at the current pace. If your timeshare is becoming too expensive, give us a call and we’ll take that unwanted timeshare off your hands!